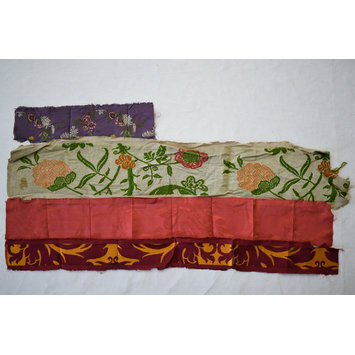 Sample of woven silk fabric. 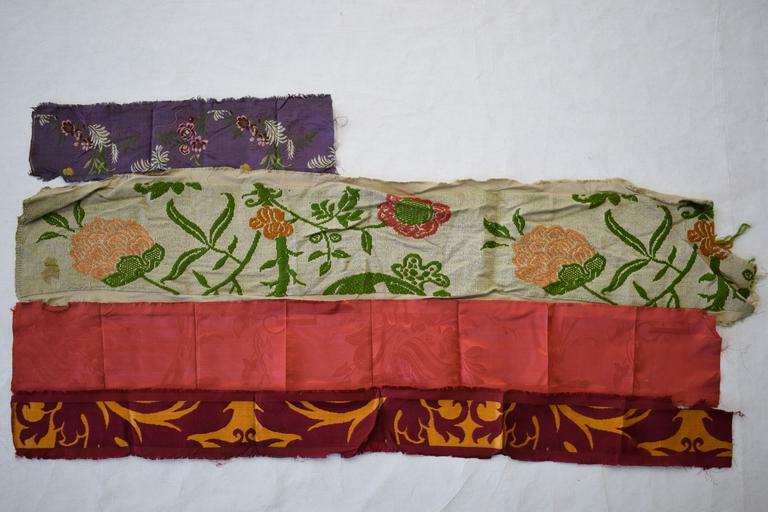 This textile sample forms part of a very large collection of samples donated to the V&A by Trowbridge Museum (T.359 to T.461-1997). The samples were given to Trowbridge Museum by the department store H.J. Kent, who acted as an agent for Warner & Sons, according to the Warners' archivist. Agents' samples were generally smaller than those retained by the company itself. 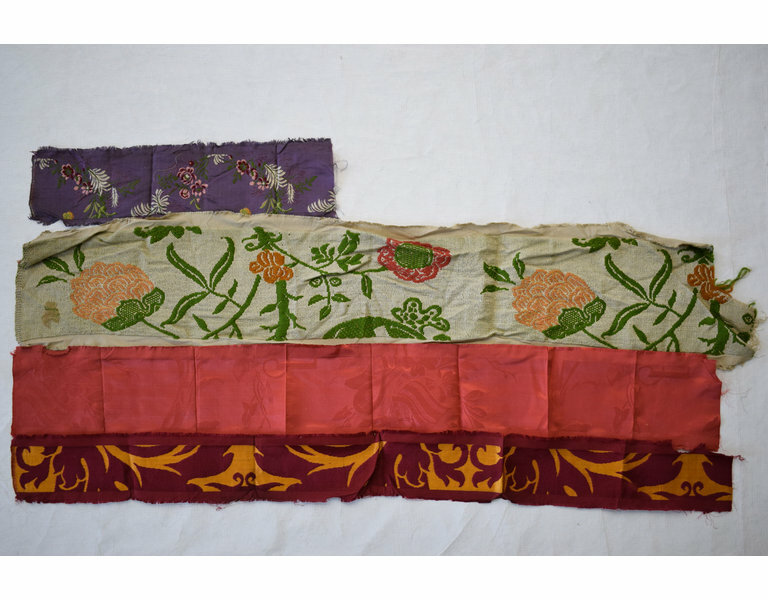 As Trowbridge Museum, who focus on local industries, felt that these samples fell outside their collecting policy they decided to gift the collection to us in 1994.